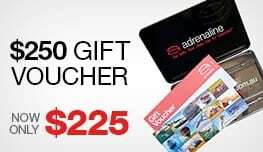 Feel your heart pound as you jump behind the wheel of one of our Lotus Exige sports cars to drive around our newest venue, the Norwell circuit (only 35 mins from the Gold Coast). Feel your heart pound as you jump behind the wheel of one of our Lotus Exige sports cars to drive around Norwell Park circuit! LOTUS! A name synonymous with superior handling and performance in a road registered package. If you have ever wanted to taste what it feels like to drive a Lotus Exige the way it was designed to be driven, then this is the experience for you. 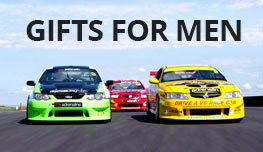 Your 5 lap experience begins with your arrival at our purpose built facility only 30 minutes from the Gold Coast. You will complete some paperwork and be fitted into the appropriate safety gear and introduced to your personal driving coach. After a short briefing to explain the principles of high speed super car driving and what to expect, and a quick photo shoot to show off to all your friends and family, it's time to hit the track. Your in car instructor is there to guide you on the fastest lines and help you toward achieving your best possible lap. Great fun. What a fantastic experience. Instructors were excellent - your patience appreciated Dave! Wish I could have done more laps... Would be great to have a split session offer Eg; 10 laps morning; break for BBQ lunch for instructor critique/ tips from video review & finish with another 10 laps. I find it absolutely amazing that many of your Hot 5 Laps or similar packages are SO booked up! I think you need to expand the number of cars you have to keep up to the demand! Loved it very much ... such a RUSH!! Paul Stokell and his team made me feel relaxed and safe and provide one of the most fun things you can do with your pants on. Thank you very much! 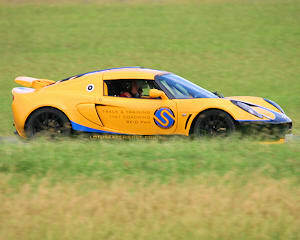 The 5 lap Lotus Exige drive was amazing! The Exige is an incredible vehicle and feels like it was on rails with endless grip. It was like driving an incredibly fast go-cart. I recommend this to anyone who likes driving sports cars. Having raced motorcycles some 25 years ago, it was great to hop into something fast, with no limits, on a race track again. At 50, it was good to revive the youthful inner man. Thanks Adrealin !